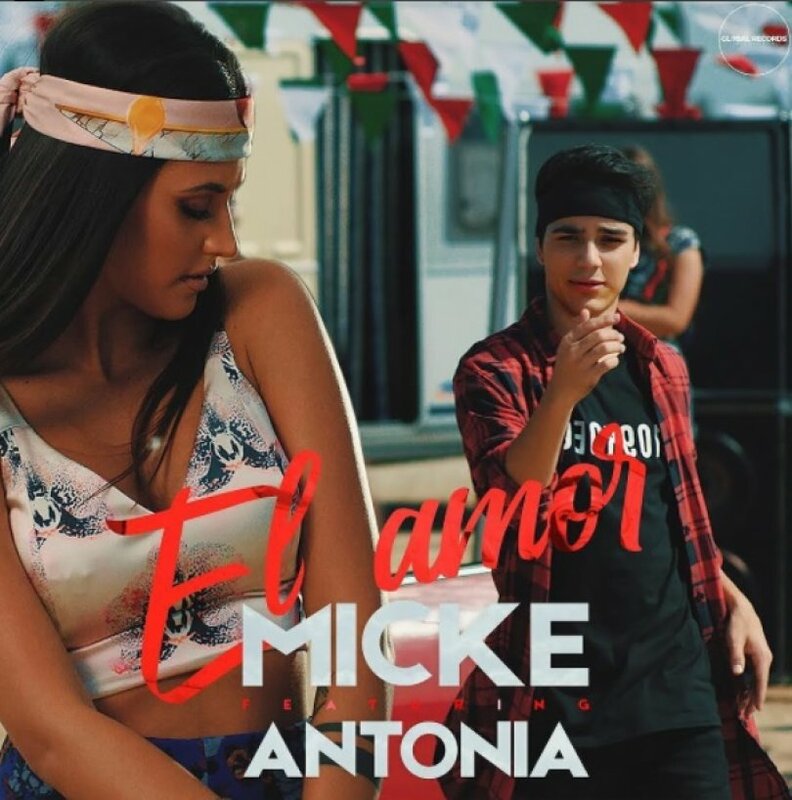 We have a new song from Antonia, well sort of, as she features on Micke's debut single as Global Records launches into a Latin subsidiary label. 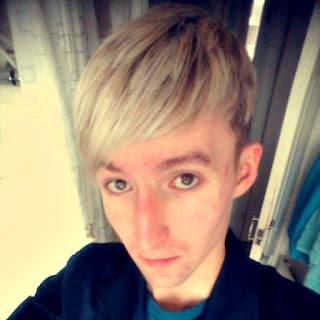 I wrote this for CelebMix earlier today, and I just had to include it on my blog because I am addicted to this track and both Micke and Antonia's vocals work perfectly together. 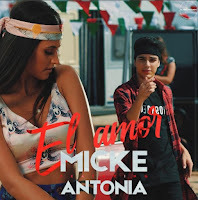 Watch Micke act as a mechanic as he checks out girls and dances with them whilst Antonia performs at a distance with her own girls in this music video for "El Amor". Micke, full name Micke Moreno, has been in front of the camera since he was young. He's been on various TV shows, commercials, advertisements, and much more; most recently he appeared as a contestant on La Banda and The X Factor US. 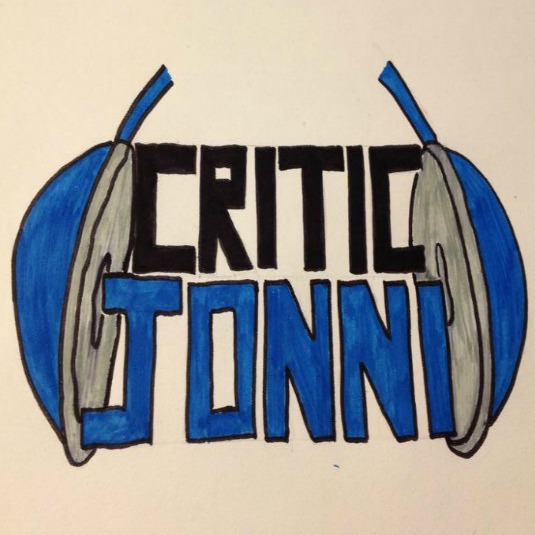 Now, he finally gets to release his debut single, and it features the incredible Antonia. Full name Antonia Iacobescu, she is an ex-model who has had a successful career in music, hitting international markets with the Tom Boxer single "Morena" and having a few top hits all on her own. This was a perfect team up that works completely on the track itself. It was written by Sebastian Barac, Marcel Botezan, and Micke Moreno. Directed by Ionut Trandafir, the music video is a pure performance piece that has a slight narrative going on. It takes place in a caravan park, where Micke plays a mechanic, fixing up a car. All the while, Antonia and a bunch of girls are just hanging out, and dancing to the track. There is a massive degree of separation between Antonia and Micke, it's almost as if she didn't want to be a part of the video, and was only drafted in because they wanted a big name to feature on the track. She stuns us from the opening and refuses to fade into the background as the video continues; bringing her usual performance vibes, ones I hope I get to experience one day. I need to see Antonia live in concert. As for Micke, he really gets involved. It's clear he is loving every minute of this music video. Yet, he practically ignores Antonia, and although the distance is something we get used to with every play, it still looks completely awkward. Regardless, he brings so much passion to this video, that he's full of energy. The song is totally amazing, and one I can't stop playing. Regardless of the awkwardness, the music video comes across well, with Micke and Antonia performing perfectly. The background dancers and actors play their roles well, bringing their own fun narrative to the table too. Overall, it's one video we don't mind playing again and again.